If you’re on the hunt for an affordable Toyota SUV, a Toyota Highlander from Kareem Auto Sales Inc just may be the best option around! Like the vast majority of Toyota models, the Highlander has a history of reliability that speaks for itself, but that’s not all it’s bringing to the table. Even older models offer dependable performance and well-appointed interiors, and those who opt for a newer model will receive Entune™ audio, 60/40-split rear seats, Toyota Safety Sense™ driver assistance tech, and much more. Find the model that’s right for you at Kareem Auto Sales Inc near Elk Grove. *4 New Tires* *1 Owner* *Low Miles* *Back-up Camera* *Bluetooth Wireless* *Power Seat* *Cruise Control* *Fog Lights* *Roof Rack* *CD/MP3/USB* *3rd Row Seating* *Rear Climate Control* *18 Alloy Wheels* *Power Windows*-We offer great extended warranty on our vehicles-Free CarFax Report History-Check us out on Yelp! 4.5 Stars-275+ Vehicles to choose from-Financing for all types of credit-CUDL (Credit Union Direct Lending)-Great 1st time buyer program-We offer great extended warranty on our vehicles-Free CarFax Report History-Check us out on Yelp! 4.5 Stars-275+ Vehicles to choose from-Financing for all types of credit-CUDL (Credit Union Direct Lending)-Great 1st time buyer program-All vehicles pass Smog & Safety Inspection and receive a fresh oil change-Our buyers have over 10+ years of buying experience-Business HoursMonday - Saturday: 10:00am 7:00pmSunday: 10:00am - 5:00pm-And As Always Promised... BEST DEALS IN TOWN! Why Choose a Used Highlander? Choose a model with Toyota Safety Sense™ to receive Dynamic Radar Cruise Control, Automatic High Beams, a Lane Departure Alert with Steering Assist, a Pre-Collision System with Pedestrian Detection, and more. Find Your Used Highlander at Kareem Auto Sales Inc! 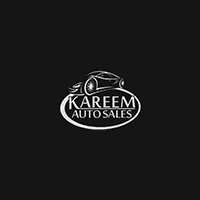 If you’ve decided on a used Highlander, take the next steps with Kareem Auto Sales Inc, today! After exploring our used Highlander lineup, contact us to learn more about your options and set up a test drive. Once you’ve had the chance to see how it handles the roads of Folsom and Rancho Cordova, you won’t be able to settle for any other used SUV! Since we want nothing more than to see our neighbors smiling behind the wheel, we’ll do everything in our power to set you up with a financing plan that fits your budget.